but it will follow and then designed the basin new nor self-made modules. Moonlight (10ner or 12 LED bar in blue) will follow and then by 22.45Uhr - 0.30Uhr also run on timer. * By controlling the air supply a total filter capacity of approximately 400 L / h to 2,500 l / h can be regulated. 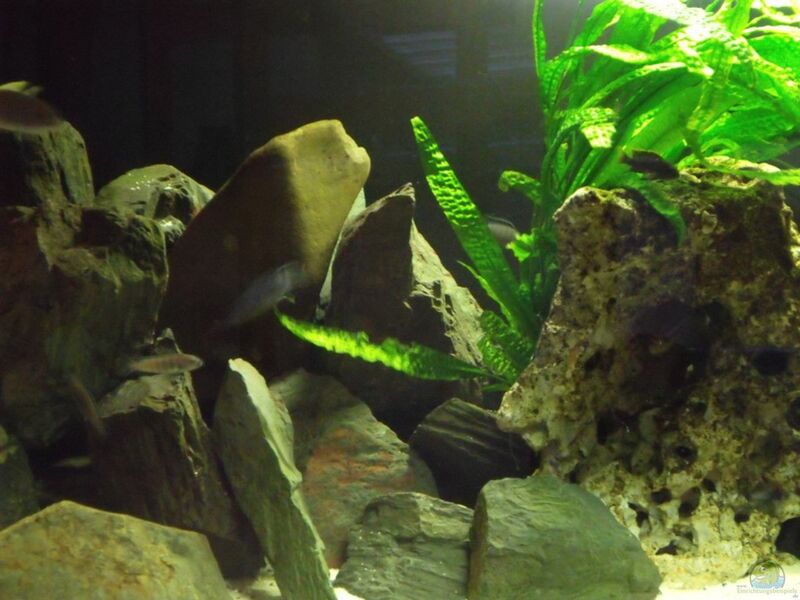 The Melanochromis auratus or Turquoise gold cichlid as he is known in Germany often belongs to the family of the Mbuna and can be found in nature in Lake Malawi mostly on the rocky shore zones. Most striking is that the Mänchen and females look very different in color is. While at birth do not have any Turquoise gold cichlid mother's color, the color of Mänchen changed almost invert upon entering puberty. However, females remain until death yellow with two horizontal black stripes, which are framed by thin white stripes. The male changes at puberty his color in a deep black with a white stripe and a light yellow back. This transformation can last 1 to 2 weeks. With several Mänchen it can happen already times that the strong oppressed Mänchen never be all black and wearing the color of the females to the end. Labidochromis sp. "Yellow" is one of the predators. In the lake he eats small invertebrates, insect larvae, crustacean and small snails, which he plucks from the nursery. This diet should be noted in the aquarium. Has proved itself prepared frozen foods from raw shrimp, but also fish meat is possible. Various frozen food such as brine shrimp and white mosquito larvae are also very happy to accept. Labidochromis (coeruleus) comes in the lake in front of different colors, of totalem White (Labidochromis caeruleus) up to a bright yellow (Labidochromis sp. "Yellow") ranges. 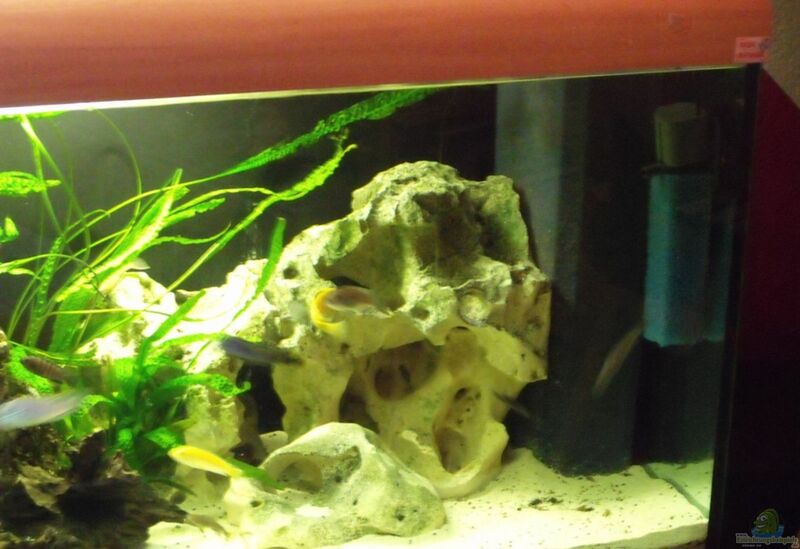 In the aquarium is most commonly known as the "Yellow" yellow cichlid widespread. The white form is seen very rarely. Whether it is a color morph of caeruleus Labidochromis or a separate species of this type, is still unclear. 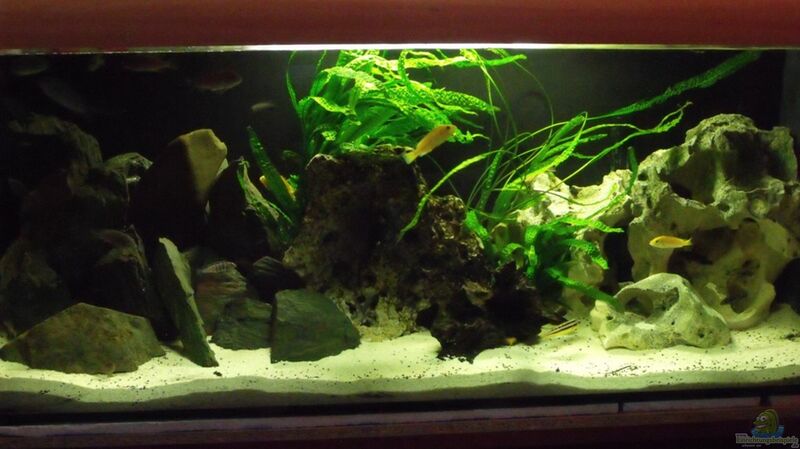 This type is one of the Mbunas (Felsencichliden), which require an appropriate aquarium decor. 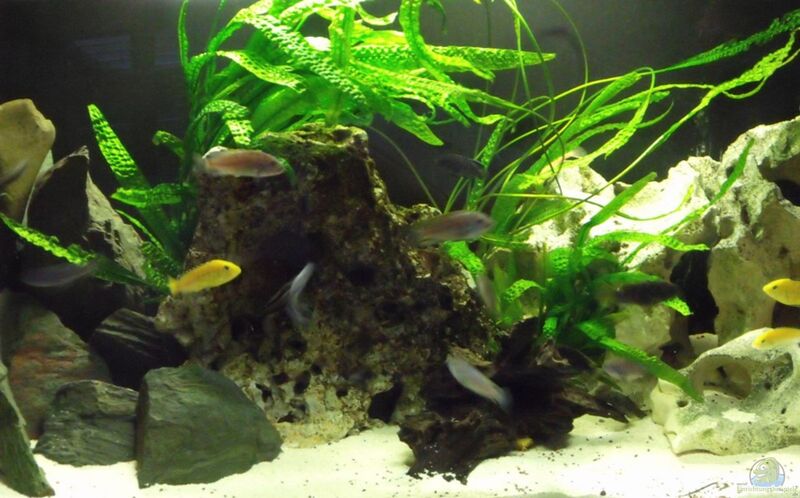 The "Yellow" is probably the most popular of all Malawi cichlids. This is probably based on the fact that it looks very attractive on the one hand, on the other hand, unlike other Mbunas is very peaceful and thus intraspecific as is also außerartlich to socialize very variable. Only in distinguishing between the sexes, it takes some practice. In general, the pelvic fins are black with the males, the females, however knows. Is not fed at a specific time but depending on the "Lust" and "mood" because it's not every day the table will be covered on time in nature. The whole basin is currently redesigned in the coming weeks and months! Furthermore, the frame will be covered (see my 2.Becken). Pictures were taken with a Fuji FinePix S1500.